Sil3114 silicone image SATA integrated transport, logical link, and PHY layer Serial ATA (SATA) - 1.5 Gbps (150MB / s) Material: CCL Color: Black Package Contents: 1 x chip 3114 expansion cards Only the above package content, other products are not included. Note: Light shooting and different displays may cause the color of the item in the picture a little different from the real thing. The measurement allowed error is /- 1-3cm. Compatible with USB 3.0, USB 2.0, USB 1.1.Date transfer rate up to 5.0Gbps / 625MB/s.2 USB 3.0 type A female connectors.20 pin SATA power connector.Supports Windows XP / Vista / 7 / 8 / 10.Chip: VL805Connector Type: PCIE 1X, 4X, 8X, 16XYou can use 3.0 devices such as USB to the card Connect printers, scanners, MP3 players, card reader, etc..Since the USB-A interface is compatible to its forerunners USB 2.0 and USB 1.1, you can still use your existing USB devices.Package Includes:1 x PCI-E to USB 3.0 Expansion Card1 x CD DriverNote: Light shooting and different displays may cause the color of the item in the picture a little different from the real thing. The measurement allowed error is /- 1-3cm. Brand Unbranded MPN Does not Apply UPC 191466615393 EAN 191466. It is a top application choice for you to upgrade the ThinkPad from lower speed modules. Designed For Lenovo ThinkPad L480 20LS, 20LT ¦ Lenovo ThinkPad L580 20LW, 20LX ¦ Lenovo ThinkPad P52s 20LB, 20LC ¦ Lenovo ThinkPad T480 20L5, 20L6 ¦ Lenovo ThinkPad T480s 20L7, 20L8 ¦ Lenovo ThinkPad T580 20L9, 20LA ¦ Lenovo ThinkPad X280 20KE, 20KF ¦ Lenovo ThinkPad X380 Yoga 20LH, 20LJ | Lenovo Thinkpad X1 6th Gen | Lenovo Thinkpad P52. HMWG.R Revised WiFi Wireless-AC Dual Band 2x2 AC Bluetooth. Manufacturer Part Number: 7260. Product Model: 7260. Bluetooth Standard: Bluetooth 4.0. Wireless LAN Standard: IEEE 802.11ac. Wireless Security. 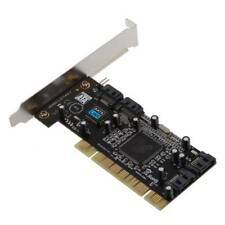 System disk and PCIE to SATA3.0 adapter card connection conditions and solutions Support Interface: USB3.0 TO SATA 22PIN. Supports two SATA. Bus interface. Support native command queue (NCQ). 3, the above two conditions are available, if you still can not start, or repeatedly restart, then the motherboard hard drive interface and our adapter card conflict, the solution is to enter the motherboard BIOS, the motherboard's hard disk interface options set to Disabled, save and restart to boot the system. Stable and reliable chipset.2 ports RS232 DB9 serial ports allow to connect more devices to your computer.Compliant with Single-Lane (x1) PCI-Express specification revision 1.0a.Standard RS-232 DB 9pin male serial port compliant.Supports 2.5Gbps PCI-E bus with full duplex channel.Supports up to 1Mbytes/sec transfer rate.Support RS-232 Hardware Flow Control.Supports PCI-E plug and play.Driver Supports Windows 9X / Me / 2000/ XP / Server 2003 / Vista / 7, Linux.Support devices: automated teller machine, bar-code reader, digital camera, digitizing tablet, external modem, finger print identification, infra-red transceiver, ISDN T/A, magnetic card reader, PDAs, POS devices, multi-modem dial-up server etc.Package Includes:1x Serial Port PCI-E Card1x CD DriverNote: . 1-4x Raspberry Pi Zero (v1.1/1.2/W). The following may be required but are not supplied. 2 6-pin external ports and 1 4-pin internal firewire female ports. 1 x Firewire video card. Note:Light shooting and different displays may cause the color of the item in the picture a little different from the real thing. PCI TO 1394 3 1 Port Controller Card Based on the VIA chipset, it provides. It gives you the convenience of 3 additional 1394a (400Mbps) external port with one shared internal port. win 7 (64bit) compatible allowing for easy expansion to hold all of your suitable external devices. Brand Unbranded MPN Does not apply UPC 6902697895966 EAN 6902697895966 ISBN 6902697895966. Interface Type: PCI-E x1, compatible with both PCI-E X4 X8 X16 interfaces Antenna: 3 external antenna. Separate detachable 3pcs antenna design, free to change, makes the signal stronger. We strive to provide the best deals to you and help you make your project successful. Azurwave (AW-NE785H ) Atheros AR5B95, AR9285. Driver can be downloaded. (link for the bracket adapter). (Due to BIOS white-list blocking the 3rd party hardware). FiWi-Kabel 6-/4-Polig. PCI-E FireWire IEEE 1394 Karte. 1x 4Pin Firewire Port (Mini-Firewire / Extern). 2x 6Pin FireWire Ports (Extern). Bild ist vom Produkt. Kompatibel mit Keyboard, PDA ,HUDS, Scanner usw. Supports WIN 2000/WIN XP/ WIN 7/ WIN8.Wireless N speed up to 300Mbps makes it ideal for video streaming, online gaming and Internet calls.Supports 64/128 WEP, WPA /WPA2/WPA-PSK/WPA2-PSK(TKIP/AES), supports IEEE 802.1X.Supports ad-hoc and infrastructure mode, Bundled utility provides quick & hassle free installation.Standard:IEEE 802.11n(draft 2.0),IEEE 802.11g,IEEE 802.11b,CSMA/CA with ACKInterface:PCI-E X1Frequency Range:2.4GHz-2.4835GHzModulation:BPSK,QPSK,CCK and OFDM(BPSK/QPSK/16-QAM/64-QAM)Transmission Distance:Indoor up to 100m ,outdoor up to 300m(it is limited in an environment)Transmit Power:15dBmAntenna plus :2x2dBiLED Indicator:StatusData Security:WPA;64/128-bit WEP;TKIP/AESEnvironment:Operating Temperature:0â~40(32~104)Operating Humidity:10%~90%. 100% New and high quality Super fast and high-capacity transfer solution, stable and reliable Fully compatible with PCI Express Base Specification Revision 2.0 Supports simultaneous operation of multiple USB 3.0, USB 2.0, and USB 1.1 devices Supports 4 downstream ports for all speeds Built-in 4-pin power connector for receiving extra power supply from the system Supports Windows 7 (32-bit/64-bit), Windows Vista (32-bit/64-bit), Windows XP Approx. Size: 11.8cm x 7cm x 1.8cm / 4. STANDARD PROFILE HP NC523SFP 10Gb 2-port Server Adapter - 2x 10GbE-LAN SFP - PCIe x8 2.0 - HP P/N: 593717-B21. Bezeichnung: HP NC523SFP 10Gb 2-port Server Adapter (HP P/N: 593717-B21 S/P: 593742-001). WLAN Karte M.2 2230 Rivet Networks. Killer Wireless-AC 1550 mit Bluetooth 5.0. Dedizierte für Notebooks. Manufacturer: Qlogic. Model: QLE2460. If it's not in the pictures, it's probably not included. Whether it's a laptop, desktop, LCD, printer or one of our other amazing deals, each piece is coming to you off-lease. 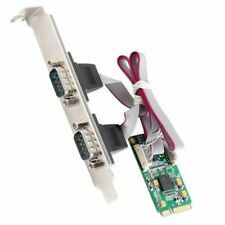 SCHEDA PCI TO 2X FIREWIRE 2 ADAPTEC 2086506-02 UNIVERSALE COMPUTER DEKSTOP. You need it urgently - just inform us. NEW WiFi Bluetooth Air Port Card BCM94360CS2 653-0023 for Apple MacBook Air 11" A1465 13" A1466 2013 2014 2015 2017. 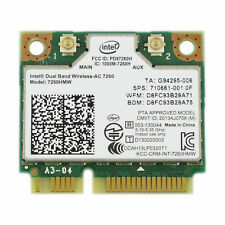 WiFi Bluetooth Air Port Card BCM94360CS2 653-0023. MacBook Air 13" A1466 2013 2014 2015 2017. Part No W1GCR. Bracket High profile bracket included. Manufacturer DELL. HARD DRIVE TRAYS. POWER SUPPLIES. GRAPHICS CARDS. ANTI-STATIC BAGS. IPEX MHF4 Antenna Slot. 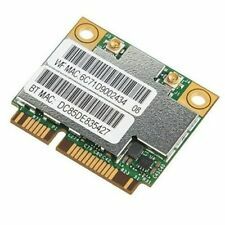 BCM94360HMB WIFI WLAN CARD. 2 x Antenna. This is our SOP, for us to be certain and for record purposes. Alle nötigen Schrauben enthalten, siehe Fotos. Bootfunktion unterstütz.UNBEDINGT BEACHTEN: Ihr Mainboard muss die Bootfunktion von PCI-E auch unterstützen, um davon booten zu können! Passend fürPCI-E x16 und auch für x4 und x8. Condition is Used. Areca Technology Corp. JBOD, RAID 0, RAID 1, RAID 10, RAID 3, RAID 30, RAID 5, RAID 50, RAID 6, RAID 60. SATA 3Gb/s / SAS. disk array (RAID), hard drive. Serial ATA-300 / SAS. RAID Level. Supports IPMI over LAN. Supports KVM. Low profile Form Factor (5.1" W x 2.7" H). Security and your privacy is our number one priority. Technical Support. International Orders. 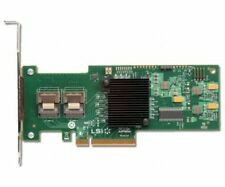 The LSI SAS 9211-4i HBA provides four lanes of 6Gb/s SAS connectivity and is matched with four lanes of PCIe 2.0 5Gb/s performance. Supports Integrated RAID (RAID 0, RAID 1, RAID 10, and RAID 1E). Supports four internal 6Gb/s SATA SAS ports. Compatible with all Mac Pro models. Supports PCI 2.2, 32bit, 33/66MHz. PCs support: PCI Local Bus Rev. 2.2. Humidity:10%~90%(non-condensing). 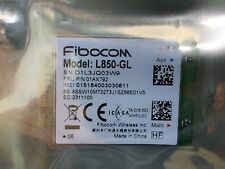 · Receiving faulty item?. · What Happens If I Buy The Item and It Does Not Work??. Connector: 1 RJ-45 port. 〉 GPU | Grafikkarten. auf der Beschädigungen der Kaufsache infolge unsachgemäßer Nutzung oder Aufbewahrung durch den Kunden selbst oder Dritter, beruht. 〉 RAM | Arbeitspeicher. Bluetooth Karte für den Apple Mac Pro 4,1 - 5,1 (2009-2012). 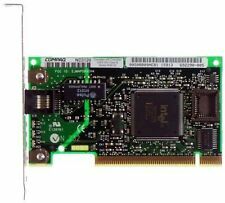 Tekram DC-290N (PCI IDE-2) IDE I/O Adapter. A real blast from the past they were manufactured in the 90's (we have therefore classified them as new other) but they are unused - still in their original TEKRAM boxes. Model: QLE3242. OEM Part Number: QLE3242. Interface: SFP. Card Type: NIC. All of our network cards are fully tested before dispatch. A forklift is not required. We are aware that mistakes and problems can always occur but we will endeavour to get any issue resolved as quickly and fairly as possible. WLAN Karte M.2 2230. Dedizierte für Notebooks. 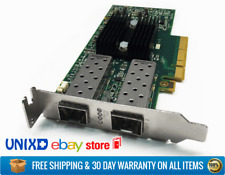 The MicrosemiPMC Adaptec 78165 ASR-78165 2280900-R DELL0KT1V 0 0KT1V SAS/SATA 6Gb/s PCIe Gen3 RAID adapter is the industry’s only low profile MD2 form factor solution with 24 native ports. Ideal for entry-level server to high-end server platforms and high-performance workstations without compromising robust 6Gb/s performance and proven Adaptec reliability. Interner 50 poliger Anschluss für SCSI und SCSI II. - interner High Density Anschluss 68 polig für Ultra Wide SCSI III. Professionell gereinigt und geprüft. Karte wird problemlos erkannt und eingerichtet! 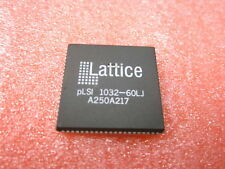 LSI P/N: LSISAS9212-4I4E. Mounting bracket: Short SFF. No software, cables or other accessories included. Server Parts. Solid State Drives. The truth is out there! Asset recovery and recycling services. HP 593717-B21 NC523SFP 2x SFP PCIe 2.0 x8 10GB Server Adapter Dual Port. Low Profile. Zustand: refurbished, sehr gut.